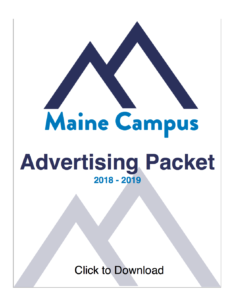 So, you're interested in purchasing Ads with the Maine Campus? Well, you're in luck! With some recent changes (mainly our website), we are now able to offer some really awesome ad packages to help you reach your target audience! To start, check out our ad packet to the right and get in touch so we can talk ads!